With standard leather upholstery and smartphone compatibility, the base 2019 A4 is a great buy. Luxury compact sedans like the 2019 Audi A4 can be sacrosanct or stale. Buyers tastes have shifted, but for marques like Audi, the A4 still represents some of the best of the brand. This year, the A4 mostly stands pat from last year. The S Line appearance package is standard on all models now, and the Audi Allroad wagon makes navigation standard on its mid-range trim. This year, the A4 is available in Premium, Premium Plus, and Prestige trim levels and starts at more than $38,400. Front-wheel drive is standard among the trims, and all-wheel drive is available for $4,600. It’s more than just running gear for the rear wheels, however. All-wheel drive, which Audi calls Quattro, adds an uprated engine that’s more powerful and refined. The A4 Allroad wagon is sold in identical trim levels, but all-wheel drive is standard. We cover the S4 separately. The A4 and Allroad wagon won’t turn many heads but they won’t turn off anyone we know. The design is simple and straightforward, with racy bends and on-trend dimples eschewed for clean lines and deep creases. The look inside is better. The A4 is sharp and conservative, with plenty of space for passengers. Both engines are 2.0-liter turbo-4s, but tuned for different outputs. Front-wheel-drive models make 188 horsepower that is sent through a 7-speed dual-clutch automatic transmission. The all-wheel-drive version makes 252 hp that is sent through the same 7-speed automatic. Buyers will opt for all-wheel drive more often and it’s a good choice; that engine is polished and potent. Federal and independent crash testers have given the A4 high marks for 2019, a nearly perfect record. Automatic emergency braking is standard on all models, and spend-up safety features can add active lane control and adaptive cruise control to reduce fatigue for long hours spent behind the wheel. The base A4 Premium is equipped with 17-inch wheels, leather upholstery, heated front seats, a 7.0-inch driver information display, a 7.0-inch infotainment display with Apple CarPlay and Android Auto compatibility, two USB charge ports, Bluetooth connectivity, automatic emergency braking, and a sunroof. Premium Plus and Prestige models add more tech, including a 12.3-inch digital dashboard that’s beautiful and informative. Most A4s manage around 27 mpg combined, but front-wheel-drive versions can push 30 mpg combined, according to the EPA. The 2019 Audi A4 is conservative among sedans, and that’s not necessarily a bad thing. The 2019 Audi A4’s exterior doesn’t push any boundaries, it just reinforces them. The plain sheet metal on the outside is punctuated with sharp lines that define its edges, perhaps more than any other sedan like it. We like the interior’s dual personality: it’s clean and high-tech but hardly minimalist, and it’s warm. This year, the S Line appearance package is standard on all A4s and adds bigger wheels and more sculpted bumpers, but the look is hardly menacing. The standard sedan’s bigger grille and creased hood are complemented by shunt lines that have been moved to the fenders for a cleaner look. The body sides are plain but not boring. Inside, the A4’s horizontal layout is similarly conservative, but the available tech is anything but. We’re conflicted: The A4’s infotainment screen isn’t a touchscreen, which simultaneously pushes the dash further toward the windshield and creates more interior space, but it’s also more finicky to use. We don’t mind too much, the A4’s interior layout is airy and uncluttered without feeling clinical and cold. Sharp steering and a responsive engine lineup impress in the 2019 Audi A4. The 2019 Audi A4 is available with a choice between two turbo-4s, with or without all-wheel drive or a wagon shape. 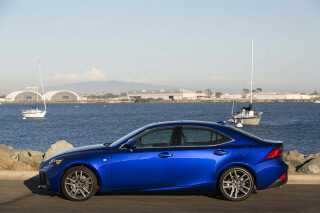 The base engine in front-wheel-drive versions is a 2.0-liter turbo-4 that makes 188 hp and 236 pound-feet of torque. Its mission is efficiency and it rings the bell with 30 mpg combined, according to the EPA. It’s only available with a 7-speed dual-clutch automatic transmission. Audi says the base front-wheel-drive model will dash up to 60 mph in a tick over seven seconds, which is respectable but not world-beating. The all-wheel-drive verison gets a 252-hp, 2.0-liter turbo-4 mated to the same 7-speed dual-clutch automatic. It runs up to 60 mph in 5.6 seconds, according to Audi, and confidently passes on the highway without feeling breathless. Its refinement is even better than its performance; it’s smooth and mostly quiet with plenty of low-end grunt to get going. At times, we’ve found the 7-speed to be a little confused at low speeds, which is typical among dual-clutch transmissions. Audi Allroads are powered by the 252-hp turbo-4 only, and are saddled with roughly 200 more pounds than the all-wheel-drive sedan. The Allroad is hardly lethargic, it sprints up to 60 mph in 5.9 seconds and feels just as lithe as the sedan. A slow-selling 6-speed manual transmission in the A4 was discontinued in 2018. Most A4s ride atop five-link front and rear suspensions that are tuned for compliance, thanks to a stiff body that was last updated just a couple years ago. Optional adaptive dampers are available for the A4, and are standard on A4 Allroad models, and can stiffen the car up considerably for tighter lines. We like the A4’s steering, although it’s a little light, and have found that the small Audi predictably and nimbly turns around city streets. The A4’s sharp steering is refreshing among lumbering crossovers. The A4 and A4 Allroad have slightly different all-wheel-drive systems, although both are equally competent. The Allroad features a disconnecting all-wheel-drive system that Audi calls Quattro Ultra that helps save fuel for long hauls but can spin up wayward tires in 200 milliseconds for better grip. The A4’s system is a little older, and a little less fuel-efficient compared to the front-wheel-drive version, but just as competent on the road. The Audi A4 sets a high standard for other luxury cars in its class. It’s possible to think that relatively small luxury cars like the 2019 Audi A4 skimp on features found on bigger, pricier luxury cars. It’s also possible that we’re not often right. Audi offers as standard eight-way power-adjustable, heated front seats. The seats are all-day comfortable with plentiful room for most body types. The view from the front is exceptional, with thin roof pillars that don’t obstruct passengers much from the road ahead. In back, there’s 35.3 inches of rear seat leg room, which is enough for 6-footers to sit behind other 6-footers. Unlike some sedans, there’s ample foot room for the outboard passengers but the center tunnel is tall enough to be an issue for some adults riding in the middle seat. Behind the second row there’s 13 cubic feet of cargo room in the trunk, which swells to 24.2 cubes in the Audi Allroad wagon. Fold down the rear seats in the wagon and that space balloons to nearly 59 cubic feet; it’s the cargo champ. The interior of the A4 is reserved compared to others in its class, such as the Mercedes-Benz C-Class or BMW 3-Series. It’s a little plainer, more horizontal, with a few more button blanks in many models than we’d typically like. The A4’s interior is also more tech-centric, with a large center infotainment screen and a gorgeous high-resolution center digital instrument cluster on Premium Plus and Prestige trim levels. Even base trims feel like luxury cars, which we appreciate. The 2019 Audi A4 complements good crash-test scores with standard automatic emergency braking on every trim level. The 2019 Audi A4 has a near-perfect safety scorecard and standard automatic emergency braking on all models. Federal testers gave the Audi A4 a five-star overall score, including four stars for front crash protection. 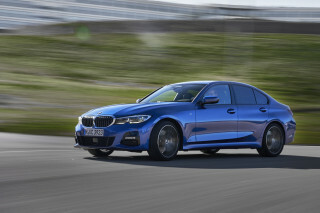 Testers at the insurance industry-funded IIHS gave the car a Top Safety Pick award for 2019 after the A4 aced its crash battery and earned top “Good” scores on every test. The IIHS rated the A4’s standard automatic emergency braking system as “Superior” and noted that the A4 avoided a low-speed forward crash at 12 mph and slowed the A4 down by 22 mph for its 25-mph forward crash. Only the LED headlights on the A4 Prestige version earned an “Acceptable” rating, while every other available headlight earned a “Marginal” rating. In addition to the mandated seat belts, airbags, and rearview camera, the A4 has good outward vision among new cars. Spend-up safety extras on the A4 are mostly walled off within trim levels, so springing for a surround-view camera system or active lane control will require thousands more for extra goodies that we cover below. One exception: rear passenger side impact airbags are optional at every trim level. A great set of base equipment makes the 2019 Audi A4 a relative value among luxury cars. Luxury cars like the 2019 Audi A4 are a good example of advanced tech that’s available in cars today. 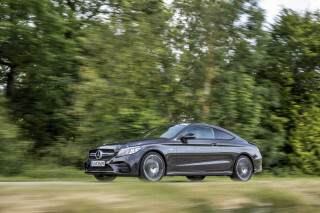 Base models are well-equipped and top trims get a raft of features that’s ahead of the curve. The A4 is sold in Premium, Premium Plus, and Prestige trim levels with a handful of options scattered among the variants. Base cars cost more than $38,000 and the 2019 A4 tops out beyond $50,000. The A4 Premium is equipped with 17-inch wheels, leather upholstery, heated front seats, a 7.0-inch driver information display, a 7.0-inch infotainment display with Apple CarPlay and Android Auto compatibility, two USB charge ports, Bluetooth connectivity, automatic emergency braking, and a sunroof. 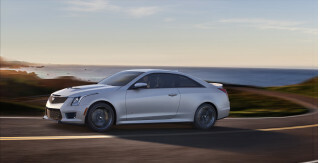 We’d begin and end with the base sedan because of that good equipment and standard leather upholstery. Many of the Audi’s competitors don’t offer real leather on base versions. Premium Plus versions climb the ladder into middle management with 18-inch wheels, LED headlights, two more USB ports, a 12.3-inch digital instrument cluster, wireless smartphone charger, navigation, an upgraded 8.3-inch infotainment display, keyless ignition, and rear automatic emergency braking. Front-wheel-drive Audi A4 Premium Plus models start at more than $43,000, all-wheel-drive versions cost more than $48,000. That’s about as far as we’d go, and the extra cost for all-wheel drive is a big pill. Prestige versions go further with acoustic glass, 19-speaker audio, and a bevy of active safety features for more than $50,000 all-in. The A4 Allroad is similarly equipped to the A4 but offers 18-inch wheels and adaptive dampers as base equipment. The A4 allroad wagon costs more than $46,000 to start. The 2019 Audi A4’s fuel economy keeps pace with other rivals, but is only average among new cars. The 2019 Audi A4 doesn't count hybrid tech among its tricks for better fuel economy. Instead, it relies on lightweight materials and a front-wheel-drive version to eke out small wins for efficiency with equally small results. Front-wheel-drive sedans are more efficient and rate 27/34/30 mpg, according to the EPA. The A4’s competitors rate similarly. 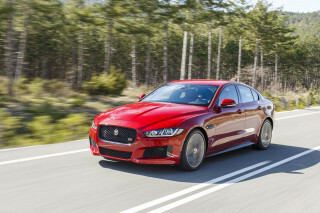 The Mercedes-Benz C300 with all-wheel drive manages up to 26 mpg combined and the 2019 Jaguar XE rates up to 28 mpg combined with all-wheel drive. The Audi A4 requires premium fuel.